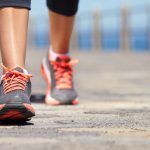 With so many features, sizes and individual benefits, choosing the perfect piece of home fitness equipment for your goals can be a tough decision. You’ve trawled the internet, listened to what the experts have to say, but real customer reviews are still an important part of your decision making process. This customer feedback is also extremely important to us because we also need to know where we can improve, so find all the latest JTX Fitness reviews here. 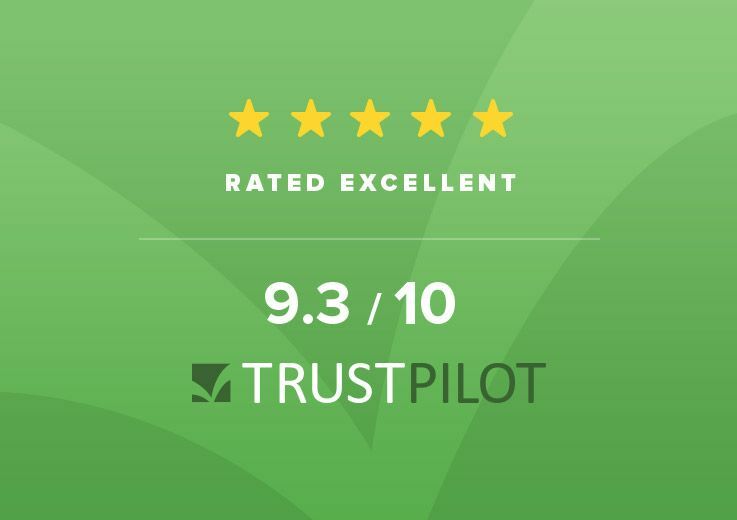 We teamed up with the UK’s leading independent reviews company, Trustpilot, who collect feedback from our customers following their purchase – so you can be sure that all the fitness equipment reviews you read here are genuine and unbiased. This is a great product for the price and size. It is quite stable and effective. If i had the space i would have spent another £500-1000 in order to get a bigger less portable machine but i haven't got space and this one fits in my bedroom nicely. I am using this product to get up to a certain level of fitness before going back to the gym. I would happily use this product in place of the gym though if i was looking to exercise around a busy schedule. It would be a great product for rehabilitation after injury too. Very pleased with this treadmill, used by two adults and three teen-agers on a regular basis – it feels very sturdy and folds away nicely without taking up too much space and we’ve managed to avoid hanging clothes on it so far. It does everything we need it to and we have no fault with it. It feels like we have got a quality bit of equipment for a good price. The controls are simple and well laid out – the speakers are ok, could be better, the running deck is wider than nearly all the the comparable ones I looked at which makes running more comfortable - the base is a bit noisier than I imagined when running on it although to be fair I’ve never used a treadmill before so this could be standard and the motor is quiet it has to be said. The four individual programmes are easy to set once you get the idea. There's no pause which is a pain sometimes. I compared several similar priced treadmills and this one had the functions I wanted – foldable, power incline, a good range of speed and incline and a decent sized running area and motor. The JTX 5 came out top in all, especially the size of the running deck. My mind was made up by the personal and customer friendly approach of JTX Fitness. The free delivery was a bonus – on time as agreed – the delivery blokes weren't interested in unpacking or taking away the packaging so bear in mind you’ll need help as advised otherwise it will be quite a challenge for one person. Once unpacked the actual assembly is very straightforward and doesn’t take long. I would recommend this treadmill, and JTX Fitness have been a pleasure to deal with. Yesterday took delivery of a Sprint-7 treadmill. Weighing nearly 100kgs it's as solid as a rock and easily copes with my 90+ kgs. Looks great and is very easy to assemble and use. There was a slight damage issue which occurred in transit, no fault of JTX, which, after a very brief email exchange, was remedied very satisfactorily, and I would say far quicker than most other retailers would choose to do. Overall, excellent quality of equipment and service received hence 5 stars. Would be my first choice to buy similar product again. Having used the JTX-7 treadmill for an hour a day for six months, during that time the treadmill has performed flawlessly. A very solid build that I'm sure will last for a long time. Keep an eye on the belt lubrication intervals and also once in a while vac under the belt, also too very occasionally check the tightness of the assembly bolts and thats it. I'm delighted with the JTX-7 treadmill, it feels and performs as a professional unit should. Highly recommended and it throughly deserves its five stars award. Very impressed with JTX and their Sprint 7 treadmill, I looked at JTX as my friend had the Sprint 5 and I was impressed. I spent a lot of time speaking with JTX via their online chat before buying deciding on model, the presales support was superb. I placed my order on a Thursday and had my running machine by Monday AM, it was very straight forward to set up and took less than 10 minutes. I've had the running machine for 3 weeks now and I'm struggling to find any important differences between my Sprint 7 and commercial running machines I used for so many years in the gym. The build quality is great, it's incredibly sturdy and I'm still getting quick efficient assistance from JTX when I need it, coupled with the 2 yr in home warranty I'm incredibly pleased, great value for my money. Thanks JTX! After extensive research we chose the JTX Sprint-7 Motorised Treadmill as it was close to commercial gym quality but sensibly priced. JTX kindly delayed delivery until our gym was ready and it turned up on the arranged day and the delivery man even took the pallet away. Very pleased with the quality of the treadmill, it runs smoothly and is quite quiet with intuitive controls. The important speed & incline buttons are cleverly duplicated on the side hand-rails. All the family are making good use of it. I bought this a few weeks ago. Great Treadmill which I use once a day everyday for 45 minute since I bought it, so far so good. A great company, and I would certainly recommend it to anyone. I'm glad I choose JTX. Customer service was EXCELLENT!! I Highly recommend. I have only one complaint. the courier service they use, TNT could not find my address twice. TNT are useless!! 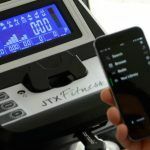 I love my JTX9 and here is why: I have tried several treadmill, from the magnetic ones to the cheap motorized ones. Non of them worked for me. I always ended up with pain in my legs and lower-back, so I was a bit skeptical of buying this product. Before buying it I had asked loads of questions to the customer support team and I always got professional and reliable answers and not even once I was pushed to buy the product. The professionalism and the customer service received, together with the option of being able to return the product if was not of my liking made me come to the decision of buying it. I have to say I do not regret it at all. It's a great machine, that has nothing to envy to the commercial ones. I am not a runner, actually I have not being able to run for the past 2 years due to a surgery to remove cancer from my knee and part of my quadriceps. Once my knee was able to support my weight again while "running", I have started jogging outside, but I fund it difficult due to the fact that running on tarmac is hard plus you have natural inclination of the road. With JTX 9 I am actually able to run for over 20 minutes with no discomfort whatsoever. I would recommend this fantastic product to everyone looking for a good machine and the fact that this company provides a customer service second to none is just a great added plus to make your buy easier, more enjoyable and absolutely more reliable. Purchased the JTX 9 Sprint Treadmill last October and not looked back.Easy to set up and good helpful guys to answer questions. Brilliant heavy duty machine just as good as the one I used at the local gym -before it closed! NOW I have my own little gym here at home.Use it Monday -Friday, it has become my life saver! Losing weight and getting fit AND enjoying myself! Thank you JTX! Actually I had not heard of JTX Fitness until recently but they have impressed me with their treadmill and their great customer service. The sales people did not sound like sales people and they gave me some very good advice. Their initial advice was that I should run outside while it is sunny. Actually I need a treadmill because I need to run on a constant incline. I have bought the sprint9 treadmill and it looks and feels like the one in the gym. I'm pleased with the price and I've spoken with JTX a few times since purchase. They've helped me to get it set up properly and also given me a basic training programme. I'd recommend this company and their product appears to be very good so far. 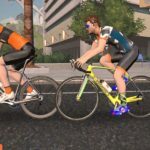 Having bought a excercise bike from JTx before I knew I was dealing with a good company and was happy to return to them when we wanted more kit. I got into fitness late last year on doctors recommendation and its turned my health around. I can now run 6 KM non stop and feel so much better. We ve now set up our own gym in the garage. The most important piece of kit to me is the running machine. I didnt want a flimsy treadmill that would break within a year. I wanted a heavy duty gym one with a heart strap that can take heavy use from me and the family. I use the heart rate programme H1 to run at 50-70% of my MHR, careful to not overdo it. Strong, quiet ,solid and sturdy build the sprint9 is a very good product and i can happily recommend it to anyone wanting a high quality treadmill for a good price. I bought the JTX Strider-X7 just over a year ago to replace a poor quality York strider. I came across it on Amazon where I most impressed with the fact that where people had issues with the machine JTX were quick to respond and support the purchasers. his was important to me as I had trouble with other companies in even replying to issues. Not that I wanted to my machine to have issues of course, just that they would provide adequate support for a product you could not just send back in the post. Last week I did have an issue where a couple of bolts snapped off the underside of the stabilisers. Bear in Mind JTX are in West Sussex and I am in Glasgow I was keen to see how this would play out. Bottom line, I exchanged a couple of emails with Simon explaining what happened with pictures, there was no issue, delay or anything. Simon said he would get an engineer booked and within a couple of days the engineer phone to make an appointment. Overall a week to get it all fixed and back in order. The engineer was very helpful and explained what to do to prevent it happening again. Simply a case of making sure the bolts were tight as they can come loose with the vibration. Top equipment and top service, highly recommended. The very reason I picked them turned out to be the reason I will buy from them again. I am lucky enough to live quite close to the JTX warehouse and was able to drop in and try out some machines before I bought one. Everyone there was friendly and helpful, and happy to take the time to listen to me and make sure I chose the right product (the X7 cross trainer). They were also available on the phone while I was putting it together, and have been supportive and pleasant all the way through the process. On the basis of my experience I would not hesitate to recommend them. I was looking for an alternative form of exercise, as my knees and hips were suffering a bit after years of running. My wife has always been a fan of cross trainers, so after doing much research and reading reviews, I landed at JTX. Luckily they are local to where we live on the South Coast, so myself and my wife took a drive out to meet them and view the different machines. Simon at JTX very kindly took time out of his day, allowed us to use the equipment and absolutely no pressure was put on us to buy. Later that day, we had a few more questions and these were answered by return email, so we duly ordered one of the cross trainers. Very glad we did ! It is a great piece of kit, very low impact on my middle aged limbs and highly recommended. We shall get many years of use out of this cross trainer. Best wishes and thanks for all your kind assistance. We were very impressed by this company. After ordering, we were contacted to find out when would be the best time for delivery. The cross trainer was delivered on time and proved easy to build and very sturdy. Unfortunately the computer screen was cracked (probably in transit) so we phoned up and were assured that it would be replaced and delivered to us as soon as possible. This was the case and we have had no trouble with it at all. I would heartily recommend this company for their service and friendliness. Recently bought a cross track trainer having viewed them in their showroom. Very clear instructions for assembling the trainer. Had a small glitch when putting it together, but this was quickly resolved by an engineer. Overall, very pleased with the equipment. Sturdy cross trainer, easy to assemble. Company talked me through how to set up a suitable program on the console. The guy was very patient and clear. I bought a cyclo 6 in October 2017 and have used it regularly throughout the last year. It developed a fault after 13 months of use and on contacting the company they resolved the matter swiftly. So I am now back to my regular exercise regime. After the ancient road bike I used on a turbo-trainer finally gave up the ghost, I decided to go for an exercise bike which my wife could use as well, and which could deal with a lot of punishment. I saw how good the reviews for the JTX Cyclo 6 were, and decided to go for that model. It is an extremely well-made piece of kit, very heavy, which is essential for spinning™ workouts, but also surprisingly quiet. It was straightforward to set up, with two of us being needed to carry the frame and wheel up to our attic even after unpacking it into component parts. I have no complaints about the weight of it though, because it gives an extremely secure base for vigorous spinning™ training. A superb piece of kit, and very good value for money. Having come back from holiday and using a spinning™ bike for the first time, my partner and I decided to buy a bike each. We came across JTX Fitness via a search engine and I'm so glad we did. From ordering to delivery was exceptionally fast, my partners arrived within 24hrs and mine was delivered two days later (due to my location in Cumbria) which suited me as it gave me time to sort space in my garage!! I was a little concerned about assembling the cyclo but the instructions were clear and easy to follow. I have been using the cyclo 6 for 7 weeks now and I'm very pleased with it. Overall I will definitely be buying more equipment from JTX Fitness, as I cannot fault their customer service and equipment, and would certainly recommend them to friends and family. I ordered this bike for my wife who wanted a spin™ bike like those at the gym and she is very happy with it. It is very solidly built and very heavy. The delivery team bought the box into its destination room and then I set it up which was fairly straightforward. JTX then called me a few weeks later to check I was happy with the bike and when I said that I felt the handlebars were a bit wonky they arranged for replacement handlebars and post to be sent to me with no quibbles - its not often you get quality of customer service from an online supplier. I am a very happy customer. I had been researching spin™ bikes for some time, and ended up on the Cyclo 6. Thankfully that research paid off, as the bike is fantastic. The construction itself is great, it feels very sturdy, feels great to ride - and looks the part too! On other points, which I think pretty much confirmed my sale was team at JTX fitness, who were nothing short of excellent. Customer service is something that's being lost in today's online age, but the guys were brilliant from my initial call through to delivery. All of my questions were answered quickly and easily, and with minimal fuss - in short, a master class in service which is worth it's weight in gold. But, back to the bike - It's been fantastic, really good quality and is getting a lot of use. So my gluteus maximus are in pain, which means my face is smiling. Thanks again to JTX Fitness for a top product. I can certainly recommend! I bought a jtx cyclo 6 two weeks ago and I am already seeing results. It's a great quality, sturdy machine. I had already been to spin™ classes in a gym in town but as I commute from Brighton to London every day it was just getting exhausting. The machine was only 499 and I think I will make my money back as I've cancelled my gym membership! I would definitely recommend this company, thanks very much. JTX are a professional company who I wouldn't hesitate to buy from again! I bought the cyclo 6 indoor spinning™ bike which was easy to put together (even as a female). On first use however the part that creates the tension snapped. I had a replacement part delivered very quickly. This wasn't so easy to fit but i i managed it eventually and it hasnt snapped since. This however may be a weak point. Very happy with the cycle. However it's quite a big bike and the sit down rising position isn't any good for people 5 ft and below. I struggle to reach the pedals. I mainly ride in the standup position so this isn't a problem for me. Overall very happy with purchase and service. After reading lots of positive reviews about JTX Fitness and the product I was interested in. I first contacted them via the email form on their website, they provided all the information I requested very quickly and if I wanted more information to feel free to call them on their 0800 number. There was never any hard sell or pressure, which is one thing that really puts me off buying from a company. Even little touches like, not forcing you to put a phone number into their "Contact Us" form promotes this. So I decided to proceed with my purchase and it was delivered next day as promised. Unfortunately I discovered it had a fault once I got it assembled so I contacted the sales person who immediately offered me a replacement but due to the size and weight of the product, it would have been difficult to repackage securely. As the product came with a 2 year onsite warranty, I decided to go down that route. The maintenance company came out within an acceptable timeframe and had a replacement bike with them and they did acually end up replacing the entire bike frame rather than attempting to fix the faulty part. I work in the service industry and know that despite all your efforts, problems will still occur. For me the mark of a company is how they deal with it when a problem does occur and I have to say their post-sales customer service excelled as much as their pre-sales customer service. 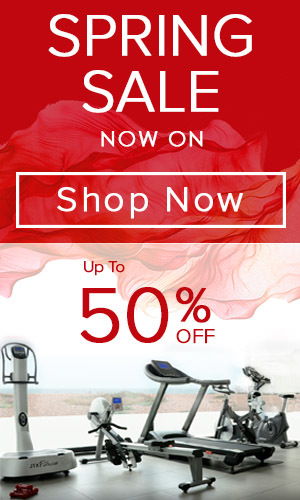 Also the product itself (JTX Cyclo 6) is amazing, I get the same quality workout as I do at the spin™ classes at the gym without being restricted to their timetable and as it is so reasonable priced, it wont take long before the product pays for itself either. I would have no hesitation in buying from JTX Fitness again in the future or recommending them to anyone. I bought the JTX Cyclo 5 in order to build up my knee in advance of reconstructive surgery and to help with the rehab. I wanted a good quality exercise bike and chose the Cyclo 5 because it looked like the ones in the gym (as opposed to a home-only bike) and because of the excellent feedback the bike and JTX fitness received. I placed the order on Tuesday and the bike was delivered on Thursday. As other reviewers have mentioned, assembly isn't particularly difficult but it helps to read all the instructions in advance and to unpack and lay out all the parts so as to be familiar with them. I assembled the bike alone in about an hour and a half, it really is a two person job and would have taken much less time. I've only had it a couple of weeks but I'm very impressed with the build quality, how solid it is, the range of programmes it offers and how easy it is to use. It really feels like a bike at the gym, with one exception, I've never been completely comfortable on an upright exercise bike in the gym but this is absolutely perfect. My one criticism is that the heart rate monitor doesn't work perfectly with either the chest strap or the handlebar sensors but then again neither do the ones in the gym. Customer service from JTX Fitness has been excellent. They kept me informed during the delivery process and when I found that one nut was missing from the bike, they got it to me in a couple of days. I'd recommend buying anything from JTX Fitness. I'd particularly recommend the Cyclo 5 if you want an exercise bike as good as those in your local gym for a fraction of the price. No need to search and compare any further for fitness equipment,JTX have machines to match the needs and pockets of most people. I bought the JTX PRO-10 after doing a lot of research into home use vibration plates. As a wheelchair user I had questions not covered on the website but after a quick call direct to them had all my queries answered. Delivery was on time and the men delivered to an upstairs room. The instructions for putting the machine together were the best Ive seen, in a large bold font, so could easily be read and followed with photographic diagrams instead of the usual line drawings. JTX told me not to hesitate to contact them if I wanted further advice on using my machine once I took delivery. I was delighted with the appearance,looks so much more expensive than it was, it oozes quality materials,sleek design lines that fits well into the home setting. JTX website offers excellent no nonsense advice and many articles for further reading and knowledge. They promote not just their machines but a healthy lifestyle,its a good read. What a refreshing change to find a company who doesnt take your money and run,they offer aftersales advice and service. They answer the phone! No automated voice,real people,how refreshing is that! My emails were quickly responded to,again no nonesense jargon,clear,to the point answers. JTX seem genuinely interested in how you get on with their equipment and the website oozes enthusiasm to help us achieve our goals. Now the challenge....does it work.....as a new customer only just exploring the possibilities and finding ways of adapting my training from my wheelchair,but it is reassuring to know that a fitness instructor is only a call/email away should I need advice. the videos on website are great and the dvd that came with the machine is clear. Obviously as a wheelchair user I cannot really review if their exercises/stretches work but can say they look amazing,never knew the plates were this versatile. I am looking for slightly different results ie improved circulation,toning and other benefits that this form of movement may bring to aid a healthier lifestyle and well being. I bought the JTX Pro-50 and was very happy to hear it was being delivered the next day. When it arrived, I asked my dad to help me assemble it. This was pretty easy but despite the fact that it's quite simple to assemble, the instructions were not very comprehensive and we struggled to find allen keys to fit the parts as they were all different sizes. When assembled I tried one session on it and thought it was very good. Having used much more expensive commercial machines in the past I think the power it offers is on a par. However when I went to switch on the machine that same afternoon for my sister to try it out, there was clearly a problem. On the setting which alternates between collation and vibration, there was no vibration at all. I called JTX and they were sympathetic but said I would need to take the machine apart to check the connection between the column and the base plate. On inspection I could see nothing wrong with the cable. However, I had noticed when it arrived that the cable had been knotted for some reason and I had to un -knot it before I could connect it. When I re assembled, it was now on constant full power vibrate and the control panel was no longer working. JTX apologised and sent a replacement which arrived the next working day. However, when the replacement arrived (in what seemed to be re used packaging), we found this time that the cable inside the column was nowhere to be seen! It appeared to be jammed up inside of the column, with no way of releasing it to connect it to the base plate! Furthermore, this machine came with a set of allen keys which made me annoyed that we had struggled putting together the first machine because they had clearly forgotten to pack them originally. I explained the problem with the cable to JTX, they apologised and sent a replacement column. This arrived swiftly and now we were experts at assembling the machines, it went together with no problems and it works! I enjoy using it and think the machine is very good. However the whole experience has left me wondering about the quality of the machines and how long this one will actually last. I visited JTX showroom in Shoreham and received excellent advice and service there. I ended up buying the JTX Slim Fit machine and am very happy with it so far after the first couple of weeks. I would definitely recommend JTX. My wife and myself have retired now and we were both looking for a way to keep slim and toned up. After looking through a lot of web sites on the computer we came across a firm called JTXfitness. I found a vibrating and oscillating machine that looked to be what we were after. Before purchasing the JTX Pro-10 machine I decided to phone the company first to make sure it was what we wanted. The lady that answered the phone was polite and extremely helpful, she could not do enough for us, At this point I had made up my mind to purchase theJTX Pro-10. I ordered the machine at 1230hrs and it was delivered the next morning at 0900hrs in two packages. The items were packed really well and the very polite TNT driver carried them to my house. It took me about an hour to put the machine together with the help of very clear instructions. We have been doing 2 x 10min exercises each day for the last three weeks and have noticed a change already to our fitness and toning. To this I would like to thank JTXfitness for the excellent service they gave us in purchasing this machine and I will highly recommend them to anybody who is looking for similar equipment. BRILL COMPANY. I first bought jtx pro 10 vibration plate which I love,the service was brilliant,simon was always at the other end of the phone with any help and advice,I loved this machine so much that I have now bought the jtx salon fit s2 and again fantastic machine and brilliant service. Also i have fibromyalgia and both these machines really help with my pain,I would recommend jtx to everyone. I have opened a Toning Salon in the south west of England and have so far purchased 3 Salon fit S2 machines. In 10 weeks since opening I have over 100 monthly paying customers who absolutely love these machines. Many of our customers have used different machines in other places like tanning salons and gyms and say they much prefer ours from JTX. The results our customers are achieving are amazing and the feedback about the JTX machines is all positive. The service from JTX themselves is second to none, very helpful and professional and I would not hesitate to recommend them to others. I look forward to dealing with them again in the future to purchase more machines!!! Wow! I've regularly bought fitness equipment before and am lucky enough to have a home gym, as well as use a local gym to work out so have experience of different brands and quality levels. I was looking to buy a vibration plate to assist me with post surgery rehab and had resolved to fork out to buy the very pricey 'market leader' . However, researching independent reviews I was steered towards the JTX Pro-10. It was a comparably amazing price and arrived the next day, well packed and easy to assemble. So far so good. However what then blew me away was what followed. The moment I stepped onto it I was impressed - it is solid with a 'quality' feel, great build and great features. Neither is it very noisy. I really love it. I can't actually tell the difference between it and the aforementioned significantly more costly market 'leader' which I've used in the past. It is brilliant! I had a couple of questions so called JTX was dealt with helpfully and courteously. However, the cherry on the customer-experience-cake was that I had an email AND a call last week ( about a month after purchase) from Simon to find out how I was getting on and if I needed any help. I duly called him back and he was incredibly helpful and gave me some great fitness advice and was amazing to deal with. Now THAT'S service! My overall experience has been that this is a stunningly good quality product sold by an company that actually is bothered about you and how you get on well after they have had your money. That is so incredibly rare in this day and age and a really wonderful thing to receive. Seriously, from now on all new fitness equipment. I buy will be from JTX. I can't fault them. I have just received the JTX PRO 10. Cannot write on the vibration plate as yet but it looks robust. The customer service on the other hand was amazing. I required a change of the product and everything was done swiftly within a week. Can't complain..
Really pleased with my Power Plate Pro 10 and especially the speed of delivery - arrived within 24 hours. Quite easy to assemble - clear instructions. Chose this power plate after a lot of research as I wanted a machine that would offer the same level of power as I had been used to using in a salon. I think it's even better! Would highly recommend both the machine and the the company. I bought a piece of fitness equipment (The JTX Pro 10 vibration plate) which I am absolutely thrilled with. It looks and feels just like the plate I have used at the gym that cost £7000! When the courier made a balls up JTX could not have been more helpful if they tried. A lot of large companies could do well to follow JTX's lead. Very happy indeed. I bought a power plate from JTX a few years ago. The JTX Pro50 is really powerful and 15 minutes or squats and lunges and generally wobbling on it a day really does make a massive difference. Its really well built and I've never had any reason to fault it despite me using it nearly every day for three years. I recently got back in touch to ask for more advice because I'd got bored of my regular workout. They gave me a great new exercise regime which is really motivating and I'm definitely noticing the difference. I'm now thinking about buying an exercise bike and they will definitely be my first port of call. After doing a little research online,and being baffled by what features each machine should have,I was totally confused. By luck i found JTX web site,after following a review left on Amazon.Their web site was perfect,easily navigated,and had an online chat feature.After answering 10 or 15 of my stupid questions,Simon had sold me the smart stride pro and rowing machine.Why?simply because he was helpful,the reviews were good and at no point did i feel pressured.order was placed and 1st machine,the strider was delivered within 48hrs,the 2nd machine,the rower wasn't in stock,was quoted 10-14 days.It was delivered within 7. So onto the machines,the only issue,and being a little picky was the instructions,not the worst,but not the best. 2 people for both machines makes it easier,take your time,and follow the instructions.2-3 hrs for the strider(it takes 30mins to unpack),1-2 hrs for the rower. The machines themselves feel like gym spec equipment,solid and well built.Nice finishes to both,and worth every penny. I'm 6ft and just over 14stone,and neither machine creaks or rocks or feels unsafe with me using them.The pre set work outs are great on both machine,making getting fit easier for the untrained.The displays show all the info you want,time,distance,speed and calories. one final thing,I rounded a nut,my fault completely,emailed to order replacement,and pay.The item was sent free of charge that day,outstanding service,and that gesture earned them a customer for life,and would recommend them to friends and family.